In this issue of Iron Fist we celebrate the legacies and careers of two bands responsible for the progression of extreme music as we know it; CELTIC FROST and MAYHEM. Both celebrate 30 years of existence this year and both are still dabbling in the dark arts; Tom G Warrior with TRIPTYKON and Mayhem with their new album ‘Esoteric Warfare’. In our cover story, Thomas Gabriel Fischer talks to Jim Martin about what drove him to create Hellhammer and the early Frost demos and how those same inspirations are channelled into his current work, while Kim Kelly talks to Necrobutcher and Attila Csihar about the formation, and dogged survival, of one of the most important bands still playing and creating heavy metal music today. Talking of dogged survival, we also talk to maidens of metal, DORO and Ann Boleyn of HELLION about how they started their respective bands, Warlock and Hellion, and how nothing will get in their way as they continue to make music three decades after they begun. Elsewhere in the magazine we talk to AT THE GATES about their forthcoming album and reveal details of new works by 40 WATT SUN, GEHENNAH, Gaz Jennings (ex-Cathedral) and Phil Swanson (ex-Hour Of 13). We launch our new series on bands that we believe are criminally underrated and kick off with John Mincemoyer’s defence of Finnish masters OZ. 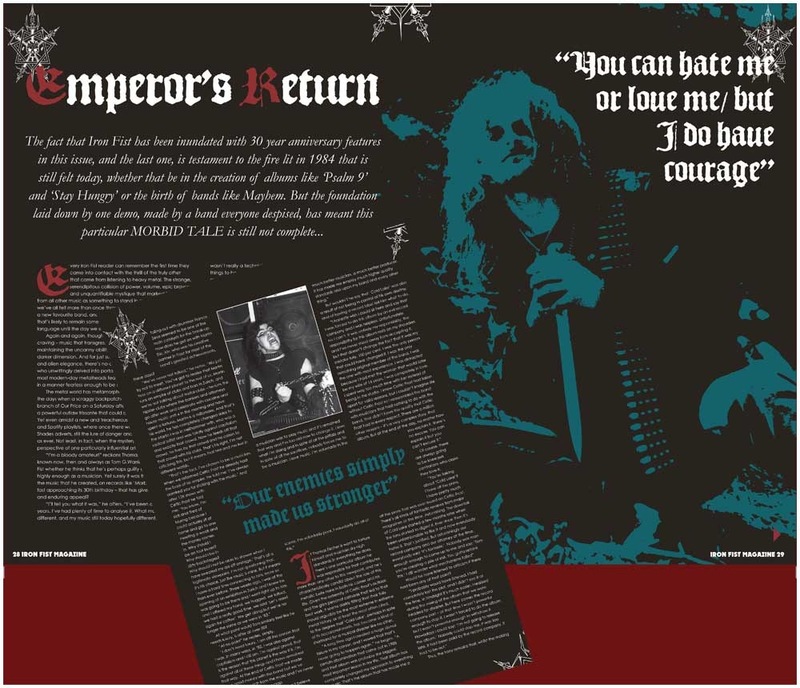 Death metal masters Autopsy get the Under The Influence treatment and we look back at the early days of CRADLE OF FILTH in our The Past Is Alive section. 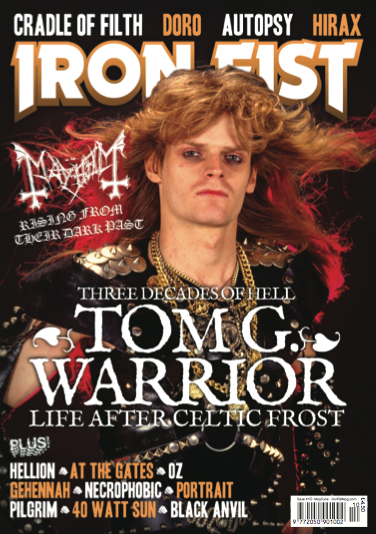 The magazine is jam-packed, as always, with features from bands past and present, including HIRAX, PORTRAIT, THE TOWER, BLACK ANVIL, PILGRIM, GRAVEHILL and BELOW as well as our Into Battle section (which this month features the likes of COBRA, THE GOLDEN GRASS, LVCIFYRE and more) and the usual reviews, news and a brand new column from VOLTURE’s Ryan Waste.